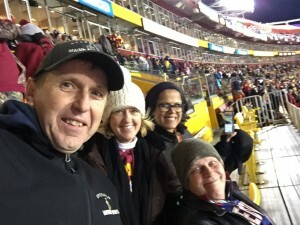 After making wishes come true in Baltimore my dad made his way to Washington DC to host heroes at the Redskins game for the 3rd time this season. He arrived in Washington via Greyhound at 4am Mon morning. He hung out at Union Station for a while to catch up on some work. As the sun rose, my dad decided to explore DC. He stopped at some of the monuments & museums in the National Mall. 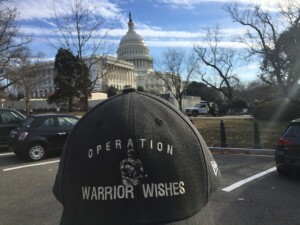 After all the sightseeing, it was time to get to work making wishes come true! 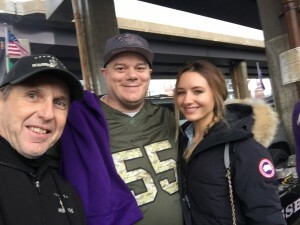 At around 4pm my dad headed out on the Metro to Longhorn Steakhouse near the stadium to meet up with Army Spc Joseph Miller and his wife Michelle. My dad set up the table as he always does, with tickets, New Era Caps and salute to service thank you letters from kids. Joseph didn’t even know he was going to tonight’s game until yesterday when my dad pulled off his patented “Fake Radio Contest” that he uses to surprise our nominees with the experience. 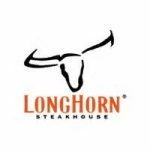 Everyone had a great time getting to know each other over delicious steak dinners thanks to Longhorn Steakhouse. My dad learned that the Millers actually know a couple of our previous guests which led to some great stories & conversation. 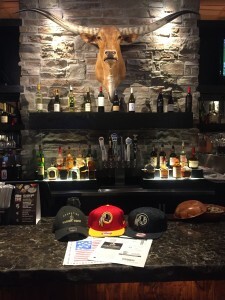 Joseph’s favorite team is the Washington Redskins. 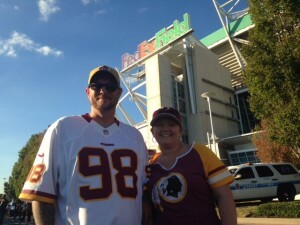 He was excited to have the opportunity to watch his Redskins fight for a chance to make the playoffs. Unfortunately for SPC Miller & the Redskins, they came up short against Cam Newton & the Carolina Panthers 26-15. It was a must win game to have any chance to get the final playoff spot. despite the loss, the millers still had a great time! 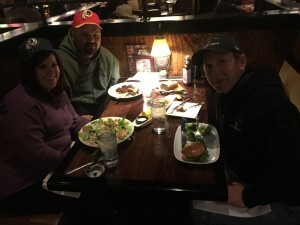 Operation Warrior Wishes would like to thank New Era Cap for providing Redskins caps, Chive Charities for providing the KCCO shirts & Longhorn Steakhouse for the delicious PreGame meal! 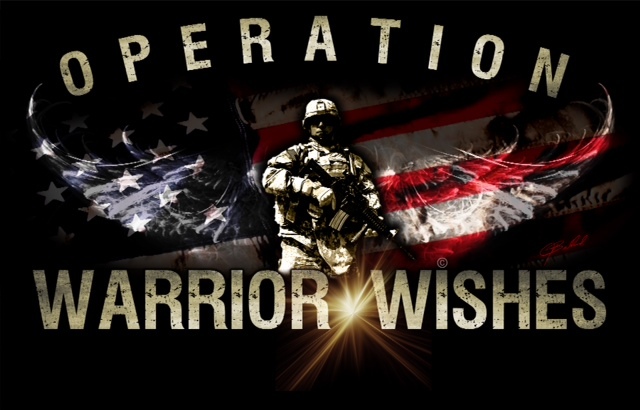 Most importantly we want to thank Army Spc Joseph Miller for your service & sacrifices our country! 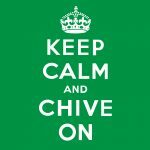 It’s appreciated, has not gone unnoticed & will never be forgotten! 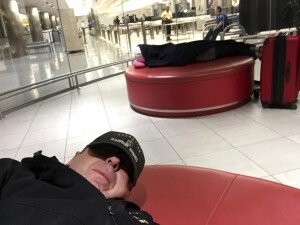 My dad will get a couple hours of sleep at the airport before his early morning flight back to Chicago Tuesday morning. 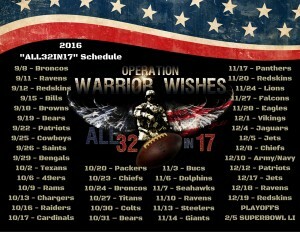 Our regular season scheduled “All32in17” Mission is officially accomplished. 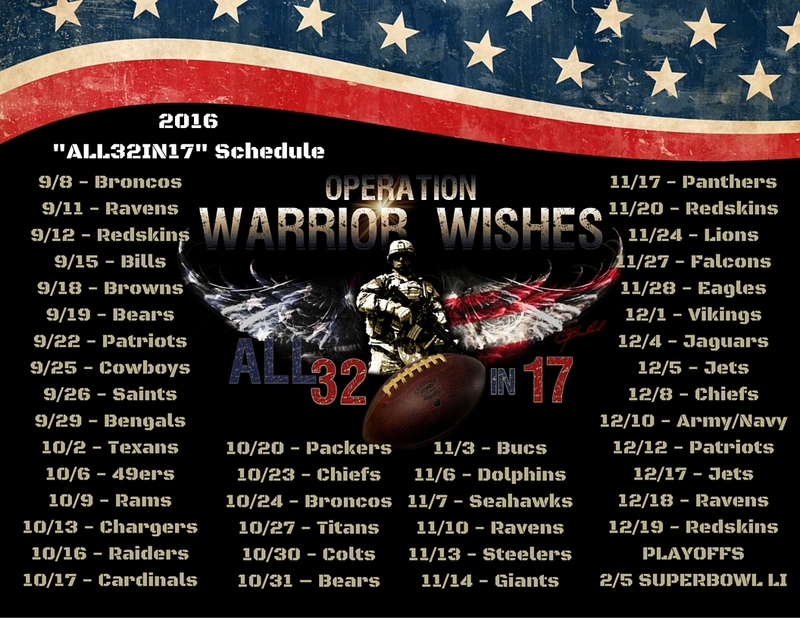 It’s time to make wishes come true in the playoffs & all the way to Super Bowl LI in Houston! Stay tuned for more details! Joe had enlisted in the Army in June 1997 and went to basic training at Fort Benning Georgia, home of the infantry. After completing basic training he was assigned to the first infantry division (the big red one), first battalion 26th infantry regiment (blue spaders). His duty station was Schweinfurt, Germany. While stationed there he was deployed to Macedonia and Kosovo, two tours to the Balkans region. 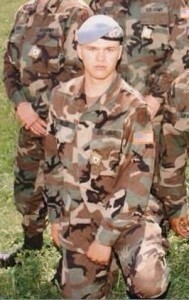 ETS out of the Army as a specialist in 2001. 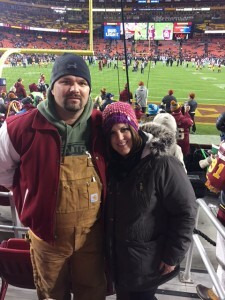 We cannot thank him enough for his service & hope he had an unforgettable experience at the Redskins game!